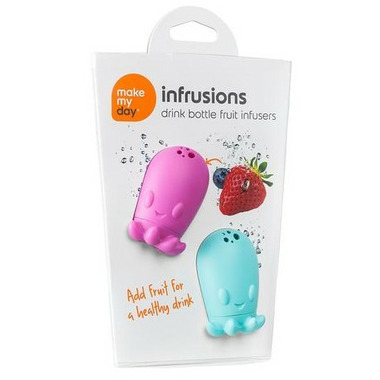 The Make My Day Infrusions are a drink bottle fruit infuser. They make drinking water fun by adding fruit to your drink. They work perfect with the Make My Day Adjustable Sippy Cups.